On 23 October 2009, Helicon B.V., Bergen op Zoom., reserved registration PH-WNW for Robinson R44 Raven I c/n 2077. The 2010-built Robinson R44 Raven I was registered by Helicon B.V. on 26 May 2010. Robinson PH-WNW was one of four new Robinson R44 Raven I helicopters registered by Helicon B.V. that day. 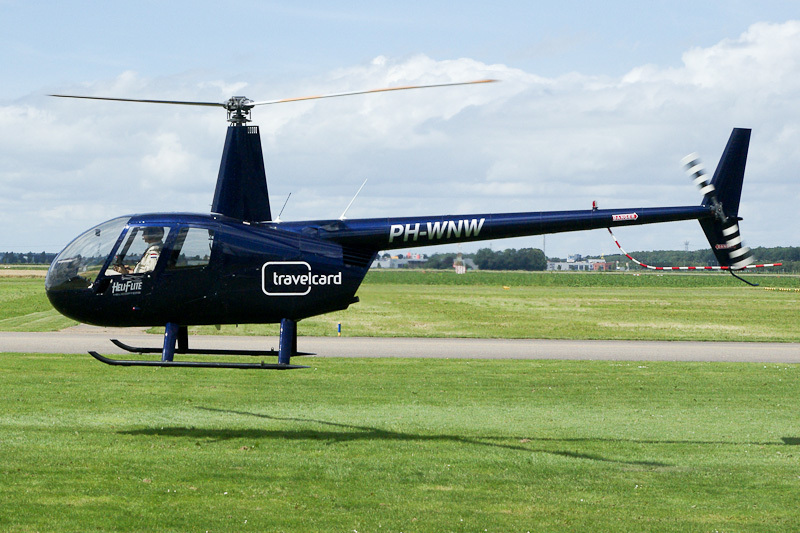 Early 2012, Robinson R44 Raven I PH-WNW entered service with HeliFlite BV, a new operator based at Lelystad Airport in The Netherlands. At that time, HeliFlite Helicopters operated four Robinson R44 helicopters: R44 D-HHED and PH-WMW; R44 I PH-WNW and R44 II D-HEAT. Robinson R44 Raven I PH-WNW was seen in service with HeliFlite during a training flight at Lelystad Airport. On 16 January 2014, registration PH-WNW was cancelled and the permit to fly the helicopter as D-HAAH was issued in Germany on 21 January 2014. Although, permit to fly as D-HAAH was issued, the Robinson was not registered in Germany, but transferred to France. On 8 August 2014, the Robinson R44 Raven I was registered F-HGSL with Larribe SARL, Saint de Laurent les Tours, France.